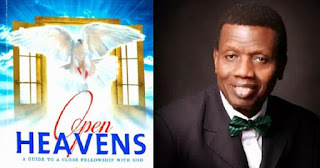 OPEN HEAVEN [17 APRIL 2019] IGNORE SATAN’S COUNTERFEIT - Open Heavens Daily Devotional Messages, By Pastor E.A Adeboye. Without faith, it is absolutely impossible to acknowledge the existence of God or connect with Him in anyway. In Romans 10:17, the Holy Spirit declares the faith comes by hearing the word of God. In other words, faith can only come through God’s word. God essentially designed His word to be the perfect tool that enables us to connect with Him through the stirring up of faith in our spirit man. 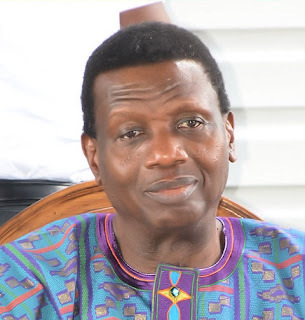 (Open Heaven 17 April 2019) Wednesday Daily Devotional By Pastor E.A Adeboye – Ignore Satan’s Counterfeit. Labels: (Open Heaven 17 April 2019) Wednesday Daily Devotional By Pastor E.A Adeboye – Ignore Satan’s Counterfeit.